The Stara Pazova-Novi Sad railway, the construction of which entails methods which are advanced even by European standards, will be upgraded in the future to allow for speeds exceeding 200 km/h. The Russian Company RZD International, which is building a new high-speed railway in Srem, is satisfied with the cooperation with Serbian contractors and is considering taking part in the continuation of the reconstruction of the Belgrade-Bar railway. The company is open for the further cooperation in upgrading Serbian railways, and the Russian industry is ready to offer a range of rolling stock. 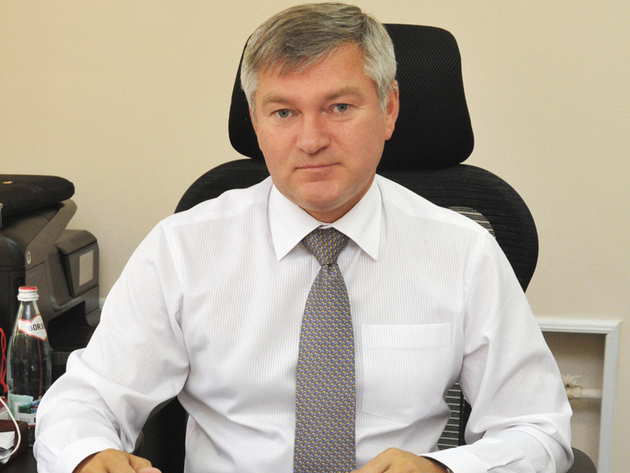 This is what Sergey Alexeyevich Pavlov, the General Director of RZD International, says in his exclusive interview with eKapija, reminding us that the railway system is the driving engine of a state's development. eKapija: RZD International is an important factor in the upgrade of capacities and the overall technical level of Serbian railways. Could it be said that your company has come to Serbia to stay? – In our five years of operations in Serbia, RZD International has proven to be a reliable partner, the kind of which fulfills its obligations with constantly high quality and right on time. We intend to keep complying with the highest standards in our operations. I am convinced that modern mechanization and human resources will enable us to keep carrying out big projects successfully. eKapija: The most complex project in which the company has so far been involved in Serbia, the construction of the new railway between Stara Pazova and Novi Sad, is in progress. What are your experiences with this project? Is everything going according to plan? 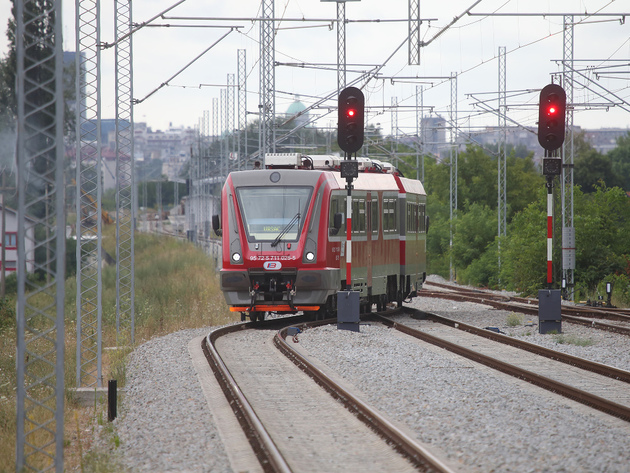 – RZD International is currently executing works on the Stara Pazova-Novi Sad section of the Belgrade-Budapest railway, more precisely, the reconstruction of the existing one and the construction of a new two-track railway for speeds of up to 200 km/h, as well as the construction of complex and large railway structures – the Cortanovci tunnel and a 3-km viaduct in the flooding section of the Danube. The construction of the viaduct is taking place on the section where a hilly terrain gives way to the plain around the Danube, which requires complex technical solutions, many of which are advanced when it comes to railway construction in Europe. Regardless of certain problems caused by the fact that the geology in the area where the viaduct is being built does not match the project calculations, the works are being carried out ahead of the schedule, and we solve all the issues that arise together with the investor, namely, Serbian Railways Infrastructure, and by hiring Russian and international planning and construction organizations. The construction of the tunnel is also being carried out within the deadline. Around 550 meters have been built so far, which amounts to around 40% of the works. We are using the New Austrian tunneling method (NATM), a special way of tunneling in mountainous areas in the spots where the ground is unstable. The works are being carried out at both tunnel portals in two tubes simultaneously. The laying of the rail tracks on the Stara Pazova-Novi Sad section is currently being done only on those sections for which the Serbian side has issued the building permit. Here, we are behind the plan, due to a delay in issuing the building permit. We are planning to compensate for the delay both on the Russian side and the Serbian side. After the completion of the works, planned for 2021, trains will be able to run at up to 200 km/h on this section. eKapija: Do the project, the geometry and the standards of construction of this railway allow for it to be subsequently upgraded to the European standard of high-speed railways – 250 km/h and above? – Yes, of course. In the future, if such a request is made, we will be able to raise the speed to 250 km/h and above. eKapija: Are there companies in Serbia that have the technology necessary for taking part in the construction of railways for speeds of 160 to 200 km/h and above? – As far as we know, at this moment, we are the only competent contractor that can offer the full range of works on structures of such complexity, but the local companies that cooperate with us are now obtaining the experience and the skills that will allow them to be involved in similar projects independently in the future. eKapija: Srbija Voz, a local transporter, has neither the engines nor the electric trains for speeds over 160 km/h. Is the purchase of trains in Russia for that purpose being considered? Does the Russian industry have anything to offer in that segment? – The Russian industry is ready to offer a wide range of rail vehicles. Based on the required technical parameters, optimal solutions are selected for each individual project when it comes to the train engine and car types. eKapija: Serbian Minister of Construction, Transport and Infrastructure Zorana Mihajlovic has announced the continuation of the reconstruction of the Belgrade-Bar railway, south of Valjevo. Is RZD International preparing for this project? – Yes, RZD International, together with the ministry and Serbian Railways Infrastructure, is considering the possibilities of taking part in this project. With its geographic position, it is a continuation of the Resnik-Valjevo project, where the works were completed in November 2017.
eKapija: Will rail transport to and from Montenegro need to be halted at any point during the reconstruction, as this is a one-track railway, and for how long? – The reconstruction of the one-track railway will entail the closing down of traffic, but we will do everything in our power, together with Serbian railway operators, to minimize the discomfort for users of the railway infrastructure. The works will be carried out with the aim of considerably reducing travel times for passengers and forwarders alike. eKapija: What has happened to the plans for the reconstruction of the cargo bypass railway route around Belgrade? – We have indeed discussed the project at the Government of the Republic of Serbia, examined the Belgrade Resnik-Batajnica railway and given our suggestions. However, we now have other priorities when it comes to further works, as a pilot project for the technical maintenance of sections reconstructed by RZD International is being prepared. But, we are also ready to discuss the project of the reconstruction of the bypass railway route around Belgrade. eKapija: In addition to the main ones, regional railways are also being reconstructed in Serbia. Do you expect a considerable increase in cargo and passenger transport after the modernization is carried out? – Yes, of course, that is one of the main tasks related to the reconstruction and the modernization of the railway infrastructure, the result of which will be increased safety and higher speeds, which will in turn make this type of transport more popular among passengers and forwarders. For example, on the sections reconstructed by RZD International, the number of passengers has increased several times. eKapija: The railway is one of the foundations of the economy in developed countries, as well as in Russia. Unfortunately, this is not true to the same extent in Serbia. How much does Russia in fact save money for its economy and participate in the creation of social wealth by investing in the railway system, that is, what kind of a country would Russia be if it were not for the railway? – Everywhere in the world and especially in Russia, rail transport is the driving engine of a country's development, its economic potential, and a driver of the raise of the living standard. Russian railways transport over a billion passengers a year and account for over 45% of cargo transport in the country's transport system. It can be said that the railway network takes the leading place among all forms of transport in Russia. The share of Russian Railways o.a.d. In the country's GDP in 2017 was 1.4%. Nineteen branches of the national industry are involved in the realization of the projects of the Russian Railways holding. A ruble invested in the development of the railway infrastructure means 1.46 rubles for the country's economy. The development of railways guarantees operations at full capacity of all branches of the economy, secures the maximum access to transport for citizens, provides economic safety and secures the country's integrity. For that reason, Russian Railways o.a.d. holding puts a lot of focus to the modernization of the infrastructure. Some of the large projects being realized at the moment are the reconstruction of the Baikal-Amur Mainline and the Trans-Siberian Railway, the development and the reconstruction of the railway infrastructure at points of access to the ports of the Azov-Black Sea basin and the Northwest basin, the construction of a railway along the Arctic Circle, the reconstruction of passenger terminals and stations on the entire network of Russian railways. The total amount of the investments of Russian Railways o.a.d. in infrastructure in 2018 is planned to reach RUB 549.6 billion (EUR 7.2 billion). The railway also plays an important role in realizing the country's transit potential. Russia, as well as Serbia, has a favorable geographic position in that respect. This is an advantage that can be used through the development of the transport network, including the rail system. I am glad to point out that RZD International directly participates in the reconstruction of railways in Serbia and that it is ready to provide full support to that process in the future, investing its experience and the possibilities of Russian Railways holding. eKapija: The spatial plan of Serbia also entails the construction of new railways. Serbia has large towns and economic centers outside the railway network (Novi Pazar, Gornji Milanovac, Obrenovac...). Have state and regional initiatives for the planning and subsequent construction of railways in these areas reached your company? – Yes, we know about those plans. When it comes to the construction and reconstruction of railways in the country, RZD International is interacting with Serbian Railways Infrastructure and the Ministry of Construction, Transport and Infrastructure. If we are given these tasks, I'm sure we will execute the works with quality and within the deadline. eKapija: With which companies does RZD International cooperate in Serbia? Are there possibilities for cooperation with other Serbian companies as well and in which fields? Do you hire local experts for the works you carry out? – We cooperate closely with Serbian colleagues, local companies. To us, the main criterion is quality and speed of construction and assembly works, as well as the contractor's technical equipment. All the companies that are carrying out construction works in our project have been selected through tender procedures and are competent for the job they do. In our activities in Serbia, we have cooperated with nearly 20 local companies. Among them are the CIP Institute of Transportation, ZGOP Novi Sad, Energoprojekt Niskogradnja, Ingrap-Omni, Karin Komerc MD, ATM BG Novi Beograd, Tehpro and others. We are satisfied with the cooperation and we plan to keep working with Serbian contractors. eKapija: What kinds of experts does the rail sector in Serbia lack and is their education in the very developed education system of Russia being planned? Is the project of the new, central rail dispatch center of Serbian railways also an opportunity for the transfer of knowledge and technology between the two countries? – Highly qualified experts are needed in all fields of the railway sector. Russian Railways holding also pays a lot of attention to preparing its staff and our company therefore works with the investor on training its workers in Russian institutions. For example, six students have recently been sent to Russian higher education institutions from Serbia and I am sure that, once their education is completed, they will come to work on our joint projects, among other things. They will thereby bring the experience that the railway experts in Russia have. At the same time, when we hire local companies, we transfer experience, technologies and innovations to them, as well as competence they will need in using and further expanding the national railway network. Around a half of the experts currently working on our structures are citizens of Serbia. We are looking into the possibility of hiring those workers for our future projects as well, including those in other countries. Furthermore, by working with Serbian experts in creating a single rail dispatch center, we are able to achieve synergy, developing and complementing each others' competence. eKapija: RZD International is not only active in the construction and reconstruction of Serbia's railway infrastructure, it also realizes humanitarian initiatives in the country. How efficient are such measures in your opinion? – In Serbia, our motto is “Building together, building for the future”. Since the very beginning in 2014, we have been realizing the humanitarian program. Its most important part is the support to education institutions in the regions where we carry out the works. We rebuild schools, equip classrooms for the Russian language courses and procure books, as it is apparent that the foundations for the future are laid down in childhood. This way, RZD International gives its contribution to the development of younger generations and the strengthening of friendly relations between our two peoples.